Wow! It’s been a great start to 2019 with the launch of new Thursday Body and Soul classes in The Golden Lion pub (morning) and Hollieslocks Salon (evening). The new venues have both proved ideal and number are steadily increasing despite the icy January weather. Congratulations go to my oldest student, Cathy Pollard, who celebrated her 100th birthday on 9th January this month. Cathy has been doing chair yoga with me for about 18 months now and she has never missed a session. She is a lovely lady and I love sharing yoga with her and others in the care home where she lives. Welcome to my new guest bloggers, Kirsty McArdle and Kate Gardner. Read more about them below and enjoy reading their blogs. Kate has contributed already with her blog “Ten Reasons to go on a yoga retreat”. As Kate lives in Ibiza and enjoys almost year round sunshine this is definitely one to read as we huddle indoors in the depths of an English winter! Remember to follow the moon meditations and share your insights and experiences with me. Anyone who speaks English as a second language may be interested in the new ten week course starting soon at NCC Redbridge College in Ilford (opposite the station) on Wednesday lunchtimes. Full details below. This class is on Thursday mornings at 11.00am, although we usually start at 11.15am to allow time for meeting/greeting and form filling (newcomers only). We have the whole upstairs to ourselves with plenty of space to move about during the lively movement section. There’s no need for mats as everything is either standing or chair based (so no-one has to worry about struggling up and down from the floor). The class follows the Dru format of fun movements, centring Kriyas (movements designed to focus on specific parts of the body in preparation for mindfulness) and finishes with mindfulness practice. Upstairs the Golden Lion is beautifully decorated with carpeted floor, oak beams and pictures of old Romford. It is a fantastic space to use for mindfulness with its connection to Romford’s historic past as a major market town. The Golden Lion was an original coaching inn in the days when Romford was a stop-off point between London and Colchester. It is still a traditional English pub with friendly bar staff and delicious, good value lunchtime food. A few of us stay afterwards for a drink or coffee in the downstairs bar and finish completely by about 1pm. Hollie’s salon transforms into a candlelit yoga studio on Thursday evenings and with loads of floor space and subdued lighting you can be sure of a relaxing and bliss filled evening. This class is slowly establishing itself with the Drury Falls and Emerson Park residents living nearby. For anyone driving, the nearby council car park (minutes away) is free in the evening so it couldn’t be more convenient or easy to get to for most people. Hollie is a wonderful hairdresser – always friendly and her prices are very reasonable. For maximum value take advantage of her mid-week offers: Colour Club Tuesday and High Light Wednesday. There is also a beautician on site offering various treatments including lash extensions. NCC Redbridge College ESOL students only. However, this will change after half term when anyone can enrol on the yoga class as a stand-alone session. It will be on Wednesday afternoons (12.30 to 2.00pm) and run as a structured course over 10 weeks. If you, or anyone you know, speaks English as a second language and would like to improve their English grammar and vocabulary while experiencing the proven health and fitness benefits of yoga please contact me. This is a unique course, run in a culturally sympathetic way (ladies only) with myself, a qualified yoga and ESOL teacher, in the driving seat. Students with all levels of English ability from pre-entry to advanced can take part and all will benefit. Students will have to enrol in NCC Redbridge College and bring their college ID to classes. The cost is £88 for 10 weeks (concessions may be available for people on benefit). Please remember to use the meditation sheets I supply at all my classes and let me know how you get on following the moon cycles. I’ve linked in with Ingvild Prestegard, a Dru yoga instructor in Bergen, Norway and am using her publication (Moon Journal 2019) to theme my classes this year. It will be really interesting to see how the moon affects us through its cycles. So far we’ve experienced a super wolf moon and are now entering the snow moon cycle. We’ve celebrated Imbolc, the first of three spring festivals, and the crone has become the maiden in her journey halfway between the winter solstice and the spring equinox. Kirsty McArdle who, until last year, was overseeing the Walled Garden project at Bedfords Park for Clear Village. 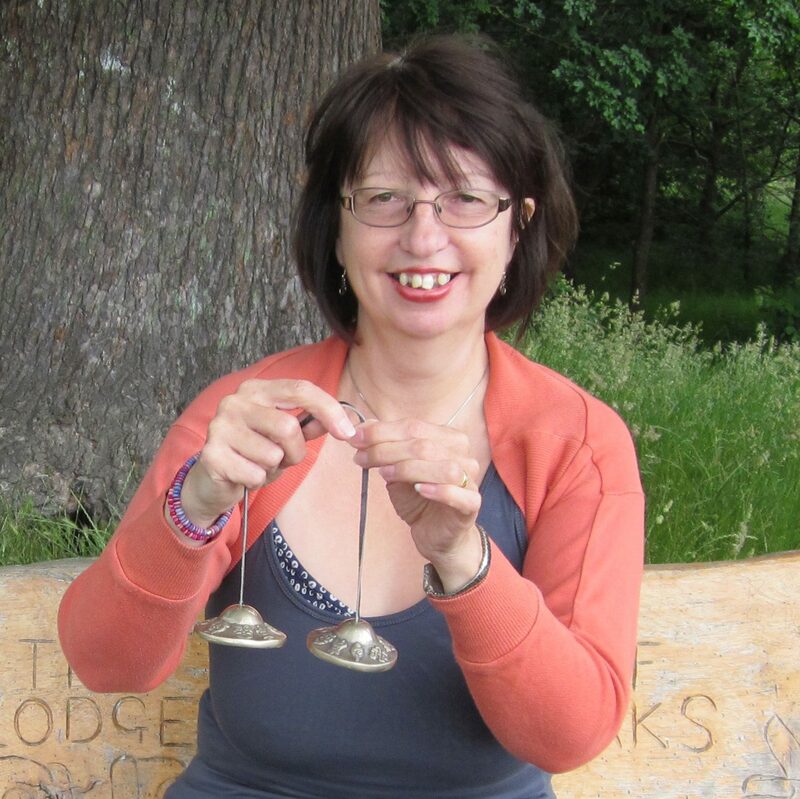 She will be sharing her knowledge of the natural world and its link to the spiritual realms in her blogs. I love helping people move along the path of their spiritual journey i.e. help them to manage their life on earth and understand what it is to be human. I am a Healer and Hypnotherapist but it’s Past Life Regression Therapy that I enjoy the most, see the biggest realisations and results…. because we tap in to the spirit realm. I’m also a Reiki Master, Plant Spirit healer, Reyad Sekh Em (Egyptian) healer, Spirit Release practitioner, Permaculturist and Shumei natural agriculture advocate. I make Tinctures and Essences (when called by spirit to do so). I lead workshops at Spiritual Circles and organise Spiritual Adventures to Morocco – where I used to live. Kate Gardner is a yoga teacher who originally trained with Yoga Professionals (where I did my own initial teacher training). I met her when she was teaching at the Virgin Gym in Romford. Since then she has moved to Ibiza and, as well as teaching yoga and running retreats is a qualified Doula, Massage Therapist and Doterra Wellness Advocate integrating essential oils into her classes which take place on her sunny island home. You can find out more about Kate at The Yoga Sanctuary Ibiza. Or join her Oily Tribe on Facebook.